Four years ago, I wrote an article entitled How Much is Too Much? that described research done by one of my university colleagues on the question of how much weight a horse can carry without evidence of muscle damage. And while riders too heavy for their horses continue to be a serious problem (for their horses, certainly! 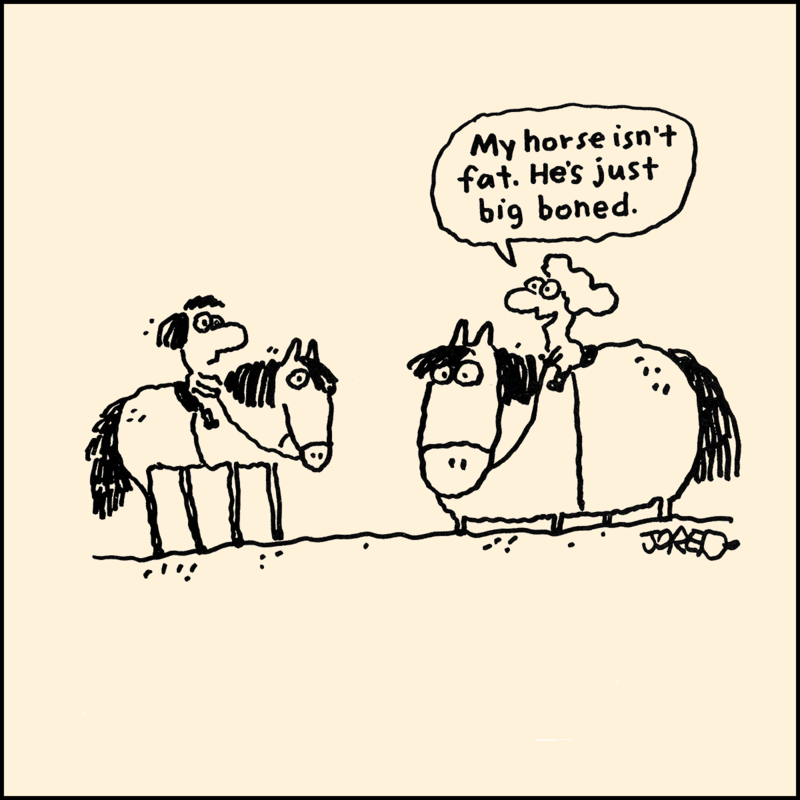 ), overweight horses such as Jared Lee’s “big-boned” cartoon horse and the very real horse described above are all-too-typical examples of what we now see on a near-daily basis. …and the beginnings of a stretched white line at the toe! Please be aware that improper trimming can also cause some of these same symptoms, and it can occasionally be challenging to sort out the real culprit! 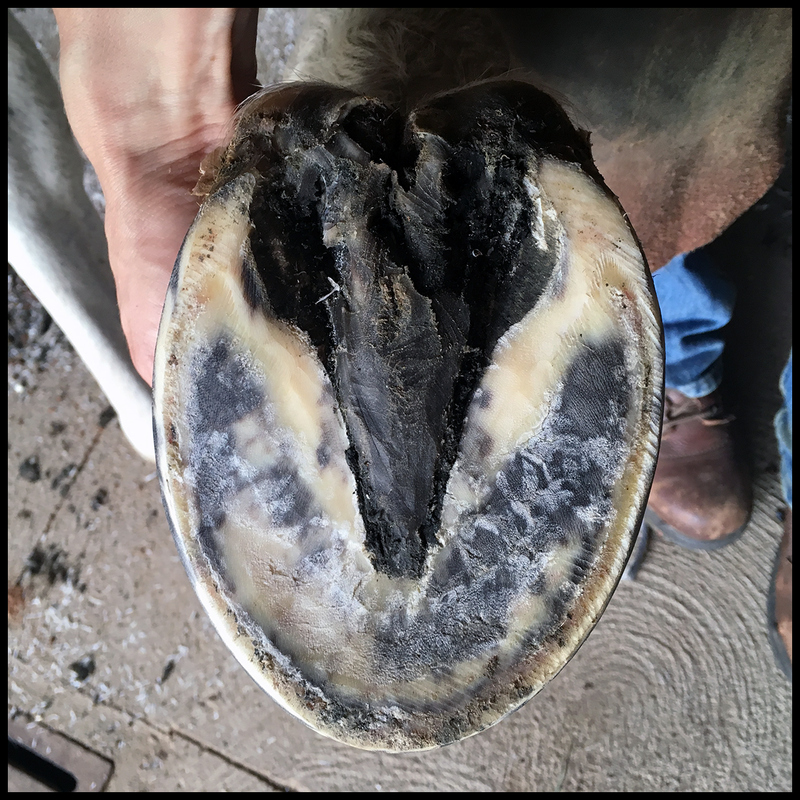 But if you haven’t changed hoof care providers and your horse is now showing signs of having sensitive feet, you should first consider whether or not any or all of the following are true. there’s an extremely good chance the sensitivity he’s experiencing is a symptom of the early stages of endocrinopathic laminitis. Again – your vet probably won’t recognize it as such, because most veterinarians simply don’t have the experience or expertise to recognize the subtle (at least to them!) changes in the feet that signal potential disaster looming over the horizon. 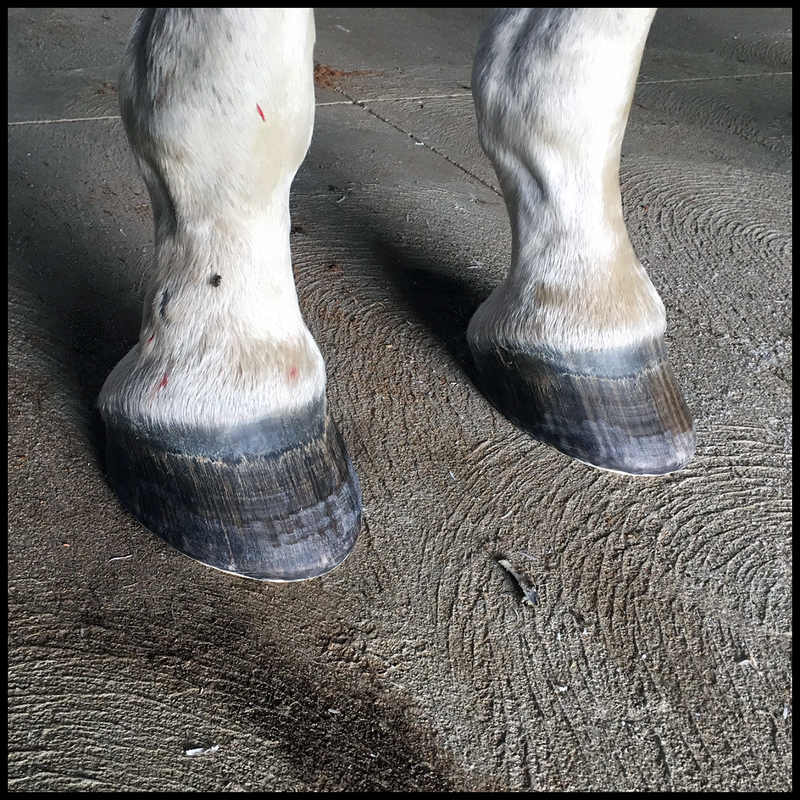 But the foot is a marvelous “early warning system” for dietary and other health/management issues, so if your hoof care provider is properly trained – admittedly a big “if” as well – he/she should see what the vet and others may not. So ask questions, and listen carefully to the answers. 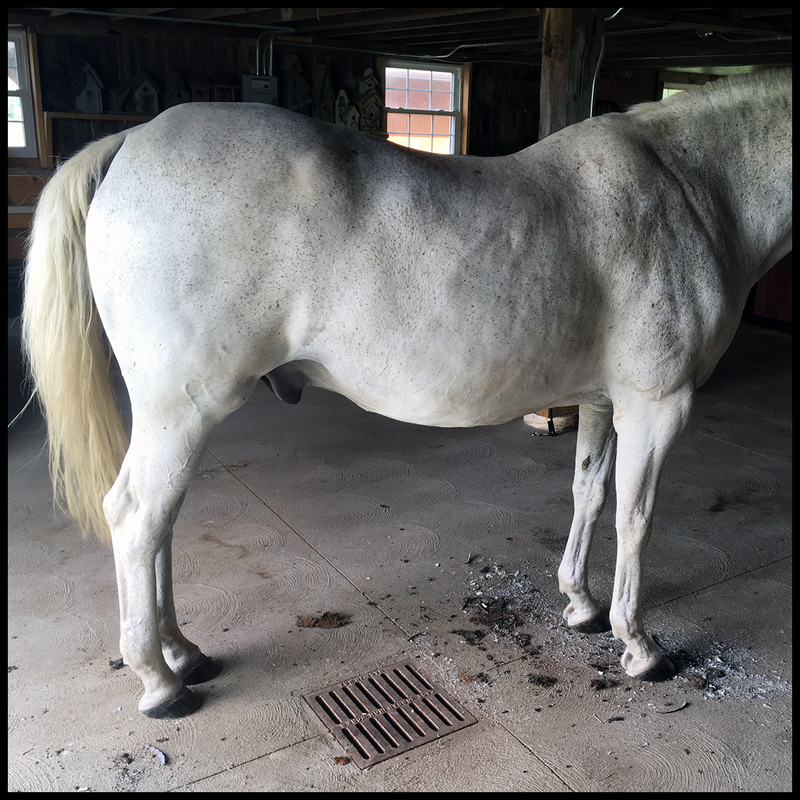 I can’t emphasize this enough: endocrinopathic laminitis, like any other form of laminitis, is an extremely painful condition, yet the condition can usually be avoided if the diet is properly managed. And while it’s definitely treatable, with full recovery possible, it’s certainly much easier to spare you and your horse by attempting to prevent it in the first place by ensuring your horse stays at a healthy weight (4.5 – 5.5 BCS). Contrary to what most horse owners I talk to seem to think, it’s really neither difficult nor time-consuming to do the math to figure out approximately how many calories your horse requires to maintain a proper body weight for the amount of work he’s doing. But keep in mind that all calorie information and feed calculations are based on weight, not volume, which means that whomever feeds your horse should be weighing his hay and feed. And although you should only need to correlate weight with volume once for a given brand and type of feed e.g. “this orange scoop full of HappyHorse Brand SuprGood Feed has a net (feed) weight of 3 pounds,” hay varies tremendously and each feeding should be weighed! I realize many horse owners think horses are “supposed” to be round-looking, or that horses look “healthier” or “cuter” with “a few extra pounds.” But believe me: they’re not, it’s not, and they don’t! So please do the right thing and do right by your horse. I intend to cover treatment options for the horse who does develop laminitis in a future article. But for now, let me just mention that putting shoes on a laminitic horse – even a mildly laminitic one whose only obvious symptom is foot sensitivity – is absolutely the wrong thing to do, and will actually increase pain and delay healing in spite of what others may try to convince you of! So if you find yourself in that situation, do your horse a huge favor and resist the urge to shoe him; I promise you I’ll provide a well-thought-out and logical explanation in an upcoming article. And what of the Morgan described at the beginning of this article? Well, after a great deal of discussion with the owner, including assurances that her horse wasn’t going to starve to death any time soon, we managed to convince her to eliminate the “just over twelve pounds of feed a day” from her horse’s diet. And just as has been the case with other clients’ horses, his feet recovered fairly quickly. In fact, by the time his next trim came around a few weeks later, the sensitivity was gone and the sole tissue was a normal consistency with obvious returning concavity! I do feel compelled to say that in this particular situation, I place a lot of the blame for the horse’s pain on the veterinarian’s lack of proper education, although I cannot say for certain whether the feeding regimen was the vet’s idea, the owner’s idea, or a combination of both. Regardless, even a few minutes of contemplation should lead any reasonable person to figure out that adding nearly 19,000 calories per day to any horse’s diet – particularly one whose caloric intake should be in the 13,000 – 14,000 total calories per day range – makes absolutely no sense at all. As I keep saying: Question everyone and everything, no matter the source of the advice…and don’t overfeed your horse! Share the post "You’re Killing Your Horse!" Next post: Horseshoes: A Means to What End? Thank you Steve. I feel that most of my clients are not really listening to my suggestions. May I share this on my FB page? Of course, Astrid! Thanks for asking and sharing! Absolutely! Trying to (gently) convince owners that their horses are too heavy is an ongoing struggle for us. A BMI of 4.5 to 5 is great! Great article! It’s a shame vets are not on the same page as you although I always go to my trimmer before the vet when it comes to problems with lameness in the feet. I look forward to more articles like this. Thanks, Penny! The situation with veterinarians is a very challenging one. Much as many of them won’t admit it, it’s highly likely they were taught little or nothing about horse feet (other than basic anatomy) in vet school. That’s not intended to be a criticism of vets; four years simply isn’t adequate time to learn everything about everything, and something has to give. 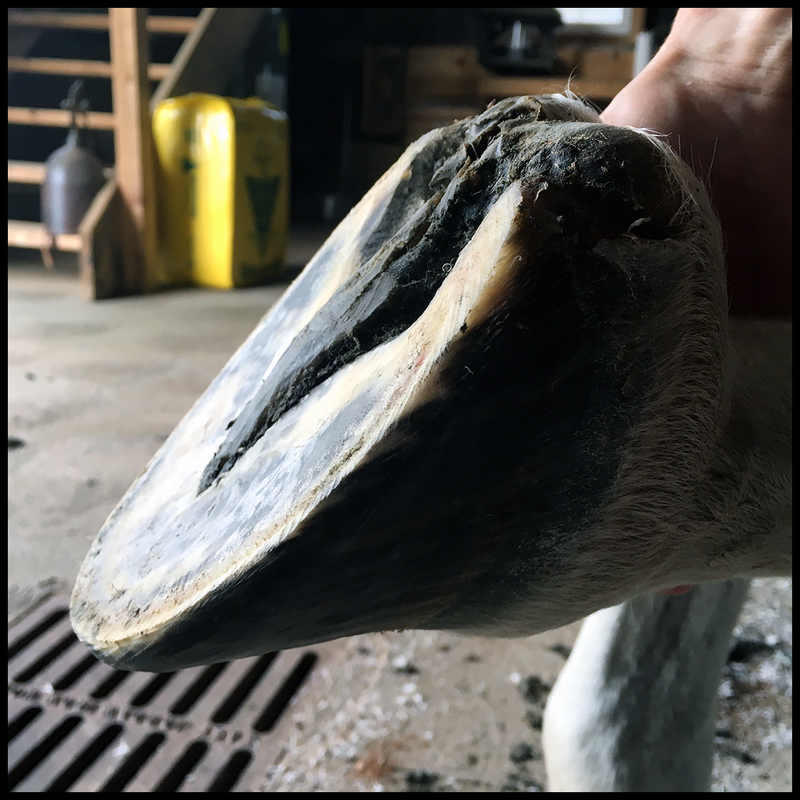 But…if more vets would be honest about their lack of education about the equine foot, and defer to others who do have the necessary education (and I don’t necessarily mean farriers), I think things would be a lot better.